Well Maintained 3 Bedroom 2 Full Bath Ranch Home w/Open Floor Plan & 9&apos; Ceilings. Great Room w/ New Carpet, Ceiling Fan & Freshly Painted. Dinning Rm Open to Living Area & New Flooring. Kitchen Features: Stained Cabinets, Elec Stove/Range, Dishwasher, Refrigerator & New Flooring. 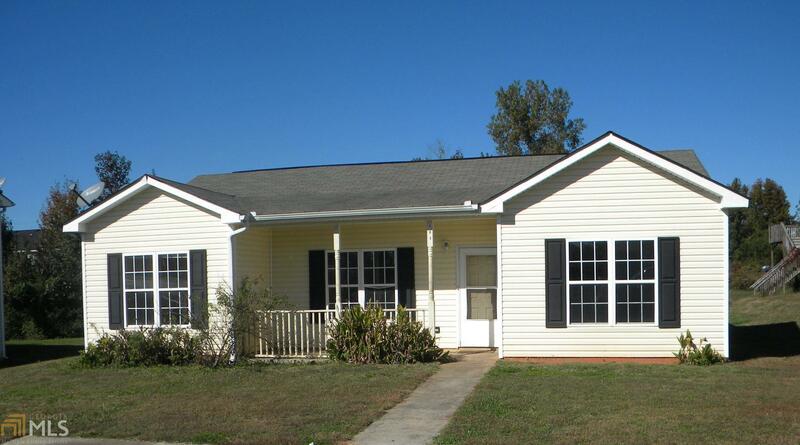 Spacious Master Bedroom w/ New Carpet & Paint, Ceiling Fan & Walk-in Closet. 2 Secondary Bedrooms w/ New Carpet & Paint w/ Shared Bath. Laundry Closet Off Kitchen. Back Yard Patio and Storage Area. Walk to Neighborhood Park and not Far to Main Street Social Circle. Directions: I20-E To Augusta Exit 98 For Ga-11, Left On Ga-11 To Left On S Cherokee Then Right On Spring Dr To Left On Walnut St, Right On Hightower Tr And Right On Vine, Right On Dove Way.